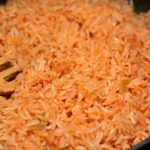 The BEST Mexican Rice that is so flavorful and easy, it will quickly become your new go to side dish to make with any and all Mexican dishes! 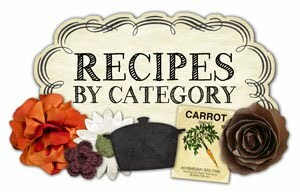 With only a few ingredients needed, forget the boxes and mixes and stick to this simple version! If you have ever gone to a Mexican restaurant, you know good rice. Each restaurant has its own version of course, but most of the time (with a few exceptions), its delicious! 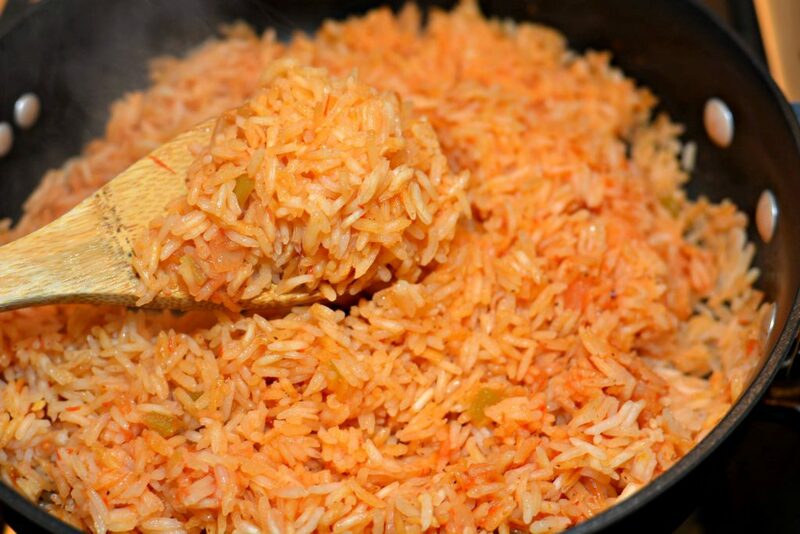 To me, there is nothing better than combining the rice and beans into one bite and enjoying the flavor combination. Anyone else do that too or just me?!?! Over the years, I have tried my hand at making an authentic, homemade rice that mirrors the restaurants. This version, click here, is quite close, but every now and then I need something realllllyyyyy simple. A dump and go version because I am short on time and want rice, but don’t want to work for it. 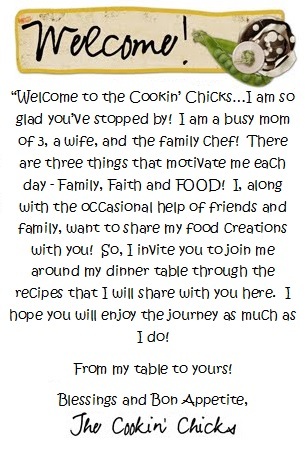 Several weeks ago, a few moms and I were talking about dinner ideas (because that is what you do when you put a bunch of moms together, right?) and one of the gals mentioned her simple rice recipe. 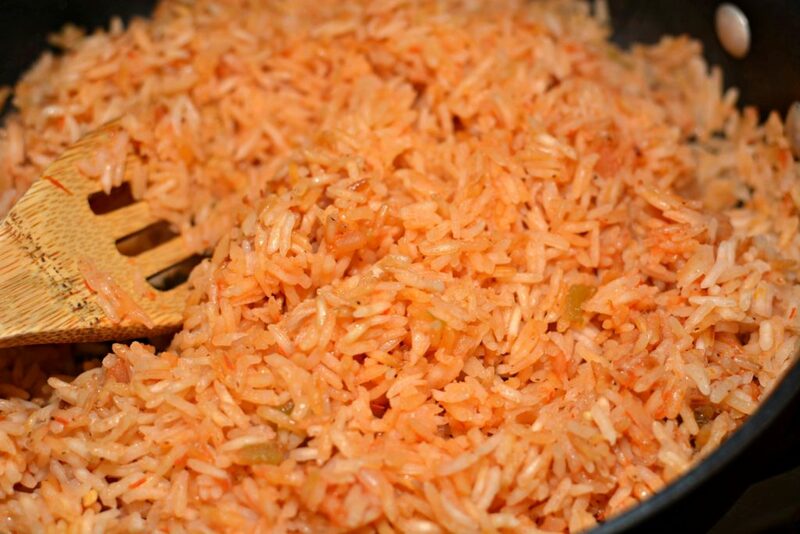 She claimed (I was a bit skeptical at the time, but now I am a believer) that using only rice, salsa, and chicken broth….you could have a quick and easy Mexican rice that is flavorful and better than the boxes. Now, I was hesitant because that sounded way too simple, and let’s be honest, I am a bit picky since I compare to my favorite restaurant. Since I was making tacos that night, I decided to give it a try and hope for the best. I added the rice, salsa, and broth together in a skillet, crossed my fingers, made a wish, and hoped for the best. Twenty minutes later, I went to fluff it with a fork (and take a bite), and to my surprise, it was great! The rice isn’t too “wet”, but its also not “firm”. It was perfectly flavored and complimented the tacos perfectly. I decided to test my hubby and not tell him the recipe up front, rather than ask his opinion first. I first asked if he thought it was from a box or homemade. He immediately said it was homemade. I then asked him to judge it and give me his honest opinion and he said it was his new favorite. Wow, right?! Who knew that something so simple, could be so quick and flavorful! I definitely will be keeping this recipe on hand for those taco nights! Now, I understand this isn’t truly “authentic”, but hey, its better than a box, haha! 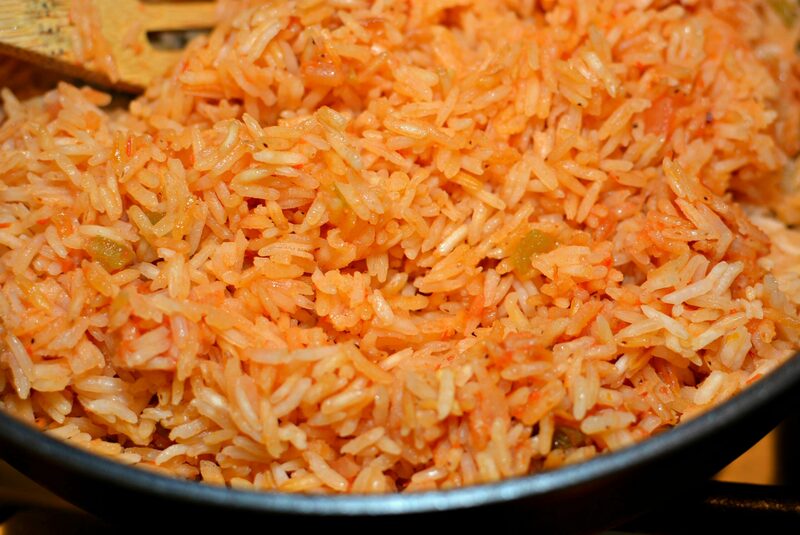 A simple, flavorful rice that compliments any Mexican dish! Using only 3 ingredients, you'll never buy a boxed mix again! Mix rice in and stir often. Once rice begins to brown, stir in the chicken broth and salsa. Reduce heat to low, cover skillet with lid, and allow to simmer 20 minutes, or until all liquid has been absorbed. I’m from San Antonio Texas and that’s the ONLY WAY I eat my beans and rice!!! Great minds think alike! Glad to hear I am not the only one, haha! Could you make this in a rice maker? I don’t see why not, I haven’t personally tried it, but should work!